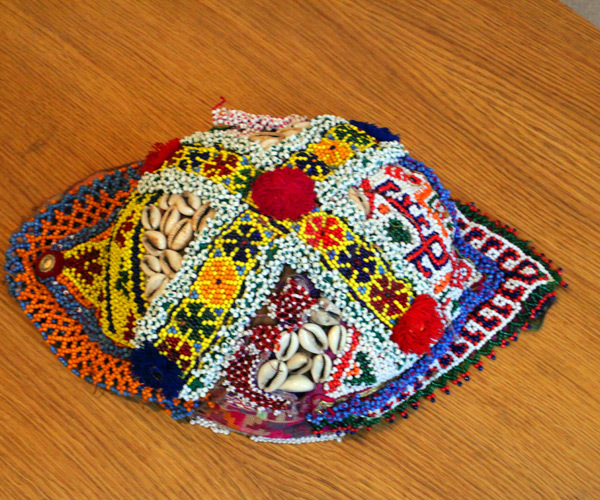 The origin and purpose of the Afghan headdress, which can be found in small shops in the bazaars of the Middle East is not fully clarified. 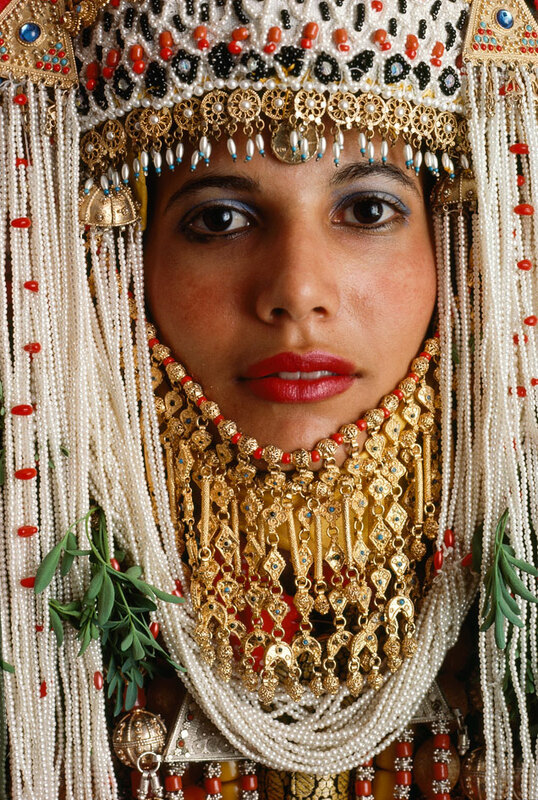 Very likely, it is one of the several elements of the bride wedding headdress ensemble, to which the rich decoration: mirrors, beads, cowry shells indicate. 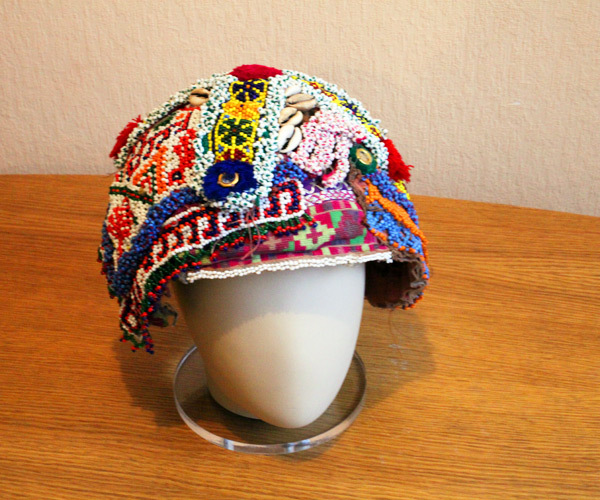 However, the ethnic origins of the headdress have not been clarified yet.